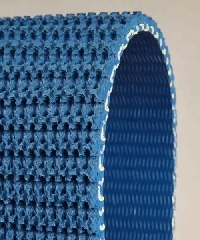 The unique fabric design allows you to splice the ZipLink belts anywhere without the use of special tools. Chemprene’s Ziplink product offering now includes over 30 problem solving belt constructions. 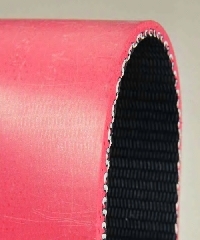 ZipLink is a breakthrough in belting design that combines time tested rubber cover materials with a structured spiral link mesh that can be easily spliced at any length into a continuous belt without the need for special tools, presses or other equipment. The ZipLink construction eliminates points of weakness because there is no loss of strength in the splice area, making the belts stronger so they last longer than belts of other seamed or fused materials. ZipLink is based on a low-stretch polyester monofilament carcass, which offers very high lateral stability for ease of tracking. ZipLink was developed because many of our customers were looking for a belting substrate that provided long life and flexibility for multiple applications and that they could change easily and quickly without accruing significant downtime or expensive overtime. It’s common for ZipLink users to reduce the time and personnel required to change belts by more than half after converting to ZipLink. Go to the Product datasheet Page ZipLink is available worldwide from Chemprene distributors in a wide variety of styles suitable for many applications in the packaging, corrugating/converting, food and distribution industries. For more information, or to arrange for a personal demonstration of ZipLink, please contact our sales office.